DAMN, this is ugly! and boring! and demoscene is not your friend, it's your enemy damnit! what slummy and kusma said. and some scene was boring. s kapjatok egy disznót. nemtom, az űrhajók a darkwing duck-ból vannak? :) amúgy nem lenne annyira rossz, csak szvsz néha kicsit unalmas. de a zold labdacs az rulez. Giving instructions in a language that no one knows just rule! Uneventful and way too slow to be entertaining. Lukewarm. "...ááá, egy este elég lesz rá..." Mi?! The spaceships (that looked like duck heads) had a nice smooth look to them, but the rest just made me groan. 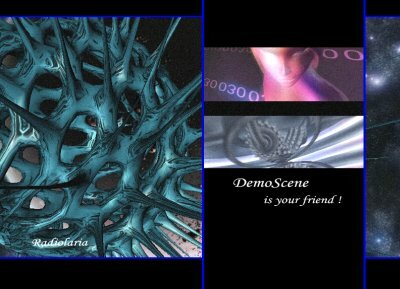 "Demoscene is your friend." hajrá holograms, a mi kutyánk kölykei! page created in 0.014649 seconds with 15 queries.